This product is basically a men’s vitamin pill. 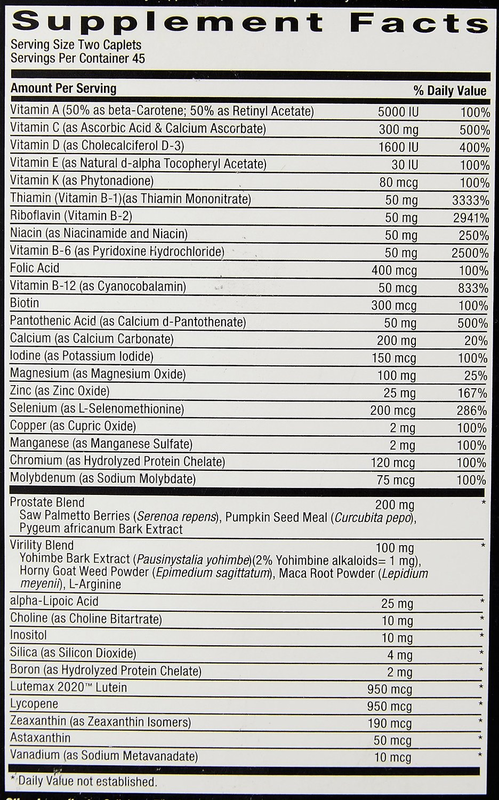 There are ton of vitamins and minerals in it as excellent doses, but the sterols count is practically zippo – 2 mg. Look at the list of supplement facts below –it has a number of beneficial ingredients, but you can get those in a good multi vitamin or multi mineral – in fact GNC sells them. So other than it being a basic vitamin pill, the prostate and virility component are in very low amounts.